There was a time when Borussia Dortmund, like so many other Bundesliga teams, were clad in adidas. They changed away from the three stripes in 1990 and became the second leg of Nike’s assault on European football, after Paris St-Germain (we’re considering the American firm’s partnership with Sunderland in the mid-80s as a stand-alone initiative rather than being part of an integrated approach). 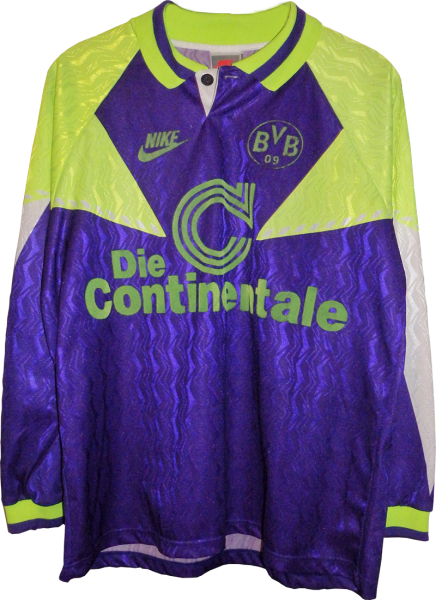 While the first PSG Nike kits, in 1989-90, were fairly staid in terms of what had gone before, the following season saw the first bit of envelope-pushing and it was similar with Dortmund as two black shards intruded on to the body from the sleeves and the yellow was heading towards the luminous shade that would characterise the club’s kits in the decade. The shard motif continued on to the shorts and there was also an increased amount of white on the sleeves, which caused a poser for Nike with the long-sleeved version of the shirt, as worn against Anderlecht in the Uefa Cup. The different neck style wasn’t unusual, with sides often having warmer collars with long sleeves back then. However, to avoid having too much white down the arms, the white was reduced to a shard as well. 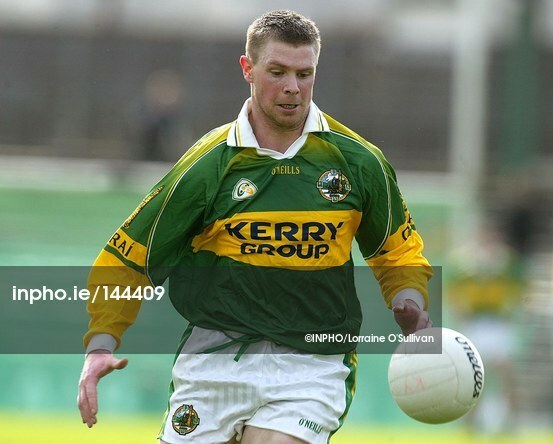 In Ireland, Gaelic games manufacturer O’Neills often had the same issue to deal with and opted to continue the secondary colour down the long sleevesopted to continue the secondary colour down the long sleeves. In practice, the team would only have used either the short- or long-sleeved set at a time, so there was no fear of a lack of uniformity. Another alteration for Europe was on the sponsor’s logo, due to stricter Uefa rules. The away shirt, in a bluey/purple shade, was even more adventurous and in the subsequent years Nike would continue to flex their design muscles. This is something to which we shall return. Bluey purple shall henceforth be known as blurple. Nike’s assault in France started with AS Monaco in 1988-1989 (up to 1989-1990), one year before PSG. The two versions of the jersey (summer/short sleeves and winter/long sleeves) had the same cut and texture than the very first PSG’s one.